Continuous monitoring, responding, and smart learning. CDC’s Active Cyber Defense solution proactively assesses your operational security and preempts threats. Our expert professionals are available to protect your cyber assets. A centralized Log Management solution, providing network visibility through an integrated dashboard. Threat intelligence from internal and external intelligence sources as a force multiplier. Security incident and compliance reporting, providing risk status and compliance in real-time. Our Active Cyber Defense solution provides full-lifecycle support, incorporating constantly-evolving security monitoring technologies, and advanced services such as security analytics, incident response,threat intelligence, and malware analysis. In a constantly evolving threat landscape, attacks occur on a seemingly regular basis. Security technologies must adapt to identify ever-changing threat sources, mitigate risk, and minimize business loss. CDC’s expert professionals can help protect your valuable cyber assets. Countering advanced, determined adversaries requires an active approach to security, built on the premise that highly trained security personnel are needed to neutralize skilled and motivated threat actors. 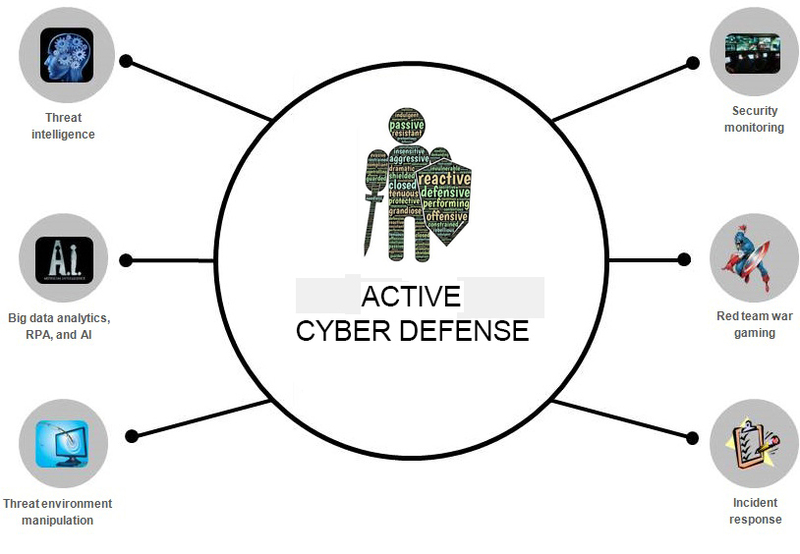 CDC’s Active Cyber Defense solution augments and enhances your current defense against today’s malicious threat actors. Structured method in identifying misconfiguration across monitored devices. Continuously monitor and mitigate problems found which helps organization to maintain security effectiveness. Insecure systems are more likely to suffer availability issues when a vulnerability is exploited by hackers. SOC Services enable organizations to detect possible intuitions proactively and can remediate it. A security breach could affect not only the target organization, but also their clients, partners and third parties working with them. Centralized log management solution enabled investigators to do deep incident analysis and forensics. This also help to identify lateral movements and malicious behavior.